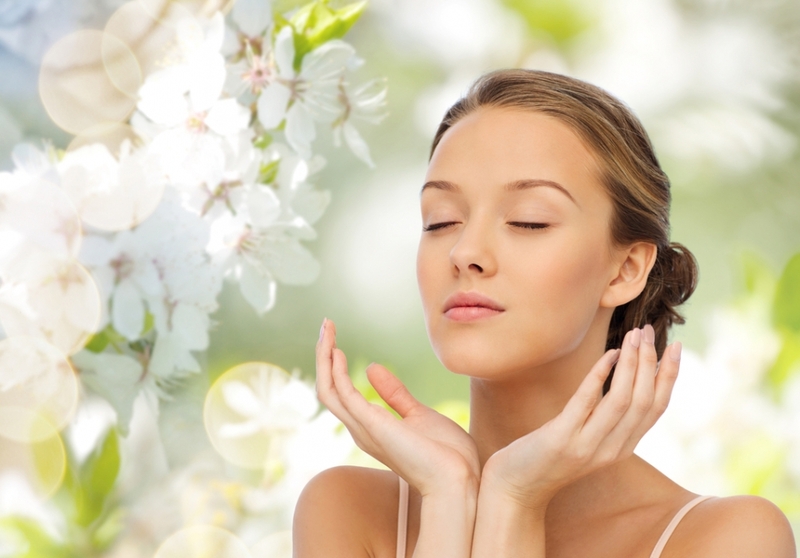 Amphora Aromatics’ top spring beauty and skincare tips - Amphora Aromatics Ltd – Supplier of pure essential oils and aromatherapy Products. We made it – spring is officially here!! What better way to celebrate this beautiful time of year than with a good pampering session. Spring is the perfect time to take a close look at your skincare routine and get your skin radiant and set for summer. Here are our top tips for how to make the most of natural ingredients for beautiful spring time skin. Spring is a great time to exfoliate the skin, prepping it for the summer months to come. Exfoliating helps to stimulate circulation, detox the skin and leave it feeling soft and supple with a healthy glow. Epsom salts are ideal for exfoliating. From removing dead skin cells to promoting brighter, healthier looking skin, Epsom salts also work to detoxify skin, helping draw out impurities and flush away toxins. Keep a tub of this wonderful stuff in your bathroom and add it to baths, use as an exfoliator in the shower or even combine with your conditioner to create a volumising hair treatment. To use as an exfoliator, simply take a handful of salts and combine with a tablespoon of carrier oil. Simply massage over wet skin and rinse off afterwards. Invigorating Grapefruit & Peppermint Salt Scrub. During the winter months, we’re likely to use heavy, intensive moisturisers and face creams to keep our skin protected from the harsh weather conditions. Once the temperatures start to warm up, it’s a good idea to switch to a lighter option (particularly if you have an oily complexion, as heavy creams can cause blocked pores). Our AA Skincare brand has a gorgeous selection of moisturising face lotions which are ideal for use during the warmer months. They are light, easily absorbed and yet will give your skin the nourishment it needs. Choose from naturally anti septic Lavender & Tea Tree, ideal for oily or congested skin, or refreshing and soothing Bergamot & Chamomile, also beneficial to acne prone and oily skin. For the more mature skin types, there is a hydrating Frankincense & Rose face lotion or nourishing Sandalwood & Palmarosa, rich in antioxidants and vitamins. Ok so it’s not quite sunbathing weather, but spring is a good chance to help prepare our skin for the warmer weather to come. The sun can really dry our skin out so it’s important to keep it well nourished and hydrated before the summer months come around (as well as ensuring we’re wearing an adequate SPF protection for when things really start to heat up). Virgin Coconut oil acts as a great all over 100% natural body moisturiser. It’s rich in Vitamin E which helps repair and regenerate the skin and its intensive moisturising properties can help to lock in moisture and keep the skin well hydrated. Use on its own or blend with an essential oil choice for added properties. You can blend with Lavender to use on acne prone skin or Frankincense to help nourish the more mature skin type. Coconut oil also acts as a natural skin softener and can work wonders on dry and cracked feet which will help prepare you for feet for sandal season in the summer months. There you have some of our top natural skincare tips for this spring. Thank you for taking the time to read this blog and stay tuned for more tips and advice to come.